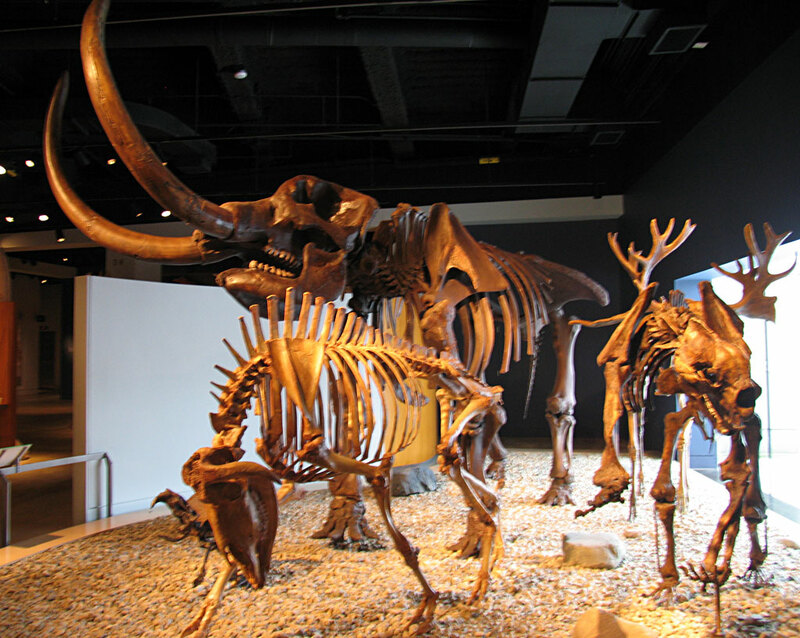 A creative fund raiser is underway by the Indiana State Museum that will provide funds for a Spring 2013 exhibition called Monsters of the Muck: Indiana's Elephant Graveyards. The plan is to raise $125,000 of $200,000 needed to real-bone mount (with some casts for missing pieces) a bull mastodont found in 1998 in an ancient lake bed near Fort Wayne, Indiana. It was radiocarbon dated to about 11,280 years old. According to their web site, the creature was maybe 33 years old, about 3 meters high, and weighed approximately 2700 kg. The remains recovered consisted of 292 bones and the fundraiser involves symbolically selling each bone for a certain price to help raise the needed money. 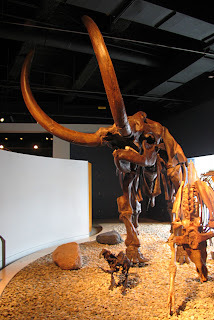 For example, the tusk casts would cost $5000 while the smaller foot bone casts would cost $50. All donors receive a "Bone Ownership" certificate signed by the curator of paleobiology at the museum, a presentation box with an actual fragment of a mastodont tusk or bone, an acknowledgment of your donation at the exhibit, and the donation is tax deductible for American taxpayers. Learn more about this neat project and how to donate on-line at this Indiana State Museum web page. 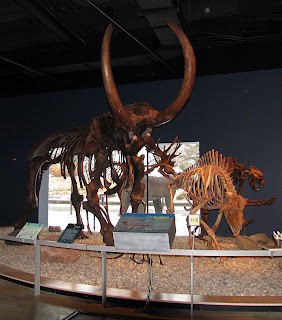 Images shown in this blog posting are of an American mastodont cast with other animal skeletons from the Ice Age. 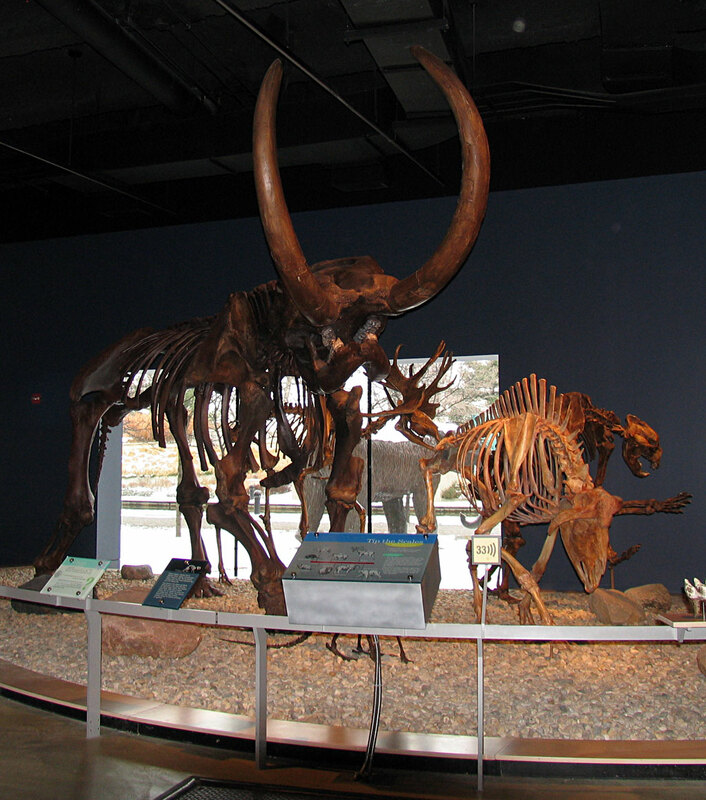 The mastodont was excavated in August 2000 at the Gunz Farm near La Porte, Indiana by a group from the Indiana State Museum.